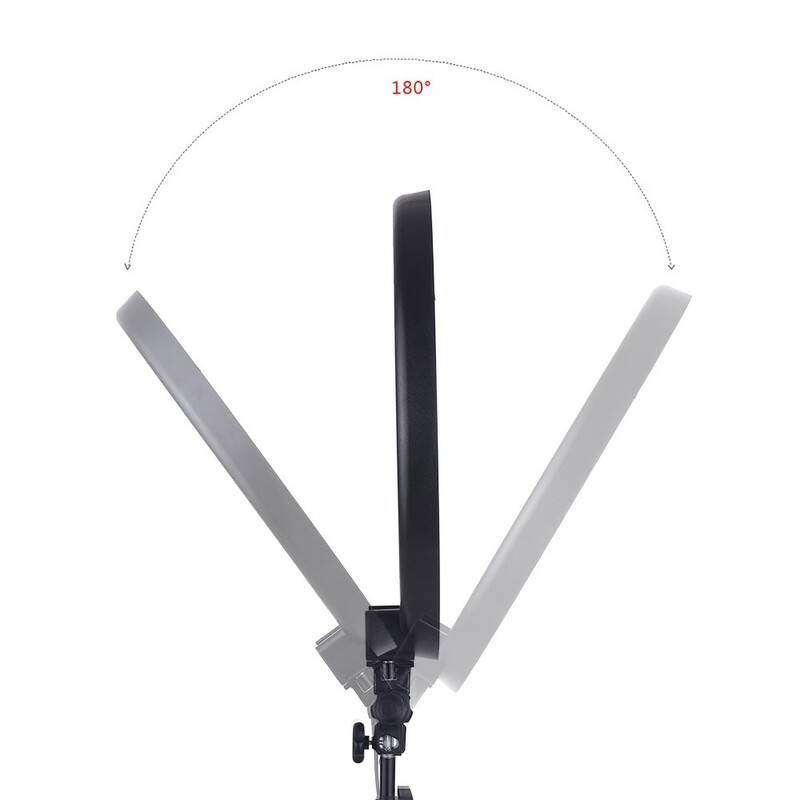 Shipped adequately fast and arrived in good condition. 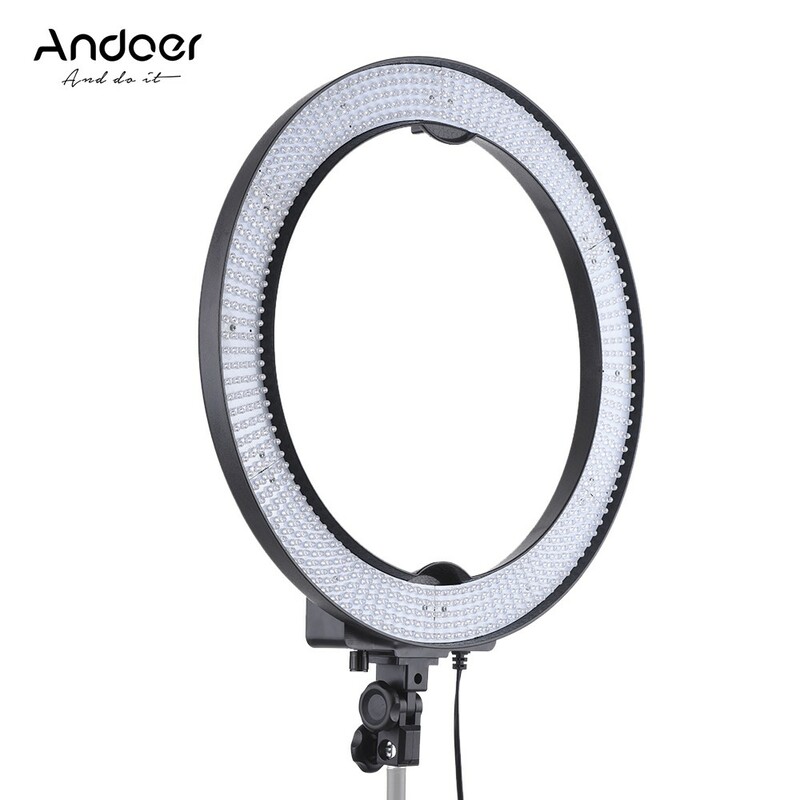 Ok so, I'm a makeup artist and couldn't take clear pictures due to the lighting being bad in my makeup room so I needed a ring light, this was one of the first I saw and might I say it was the cheapest I saw, I AM DELIGHTED! 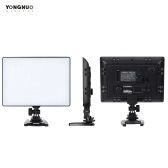 It's dimmable also which is amazing it doesn't come with a stand. 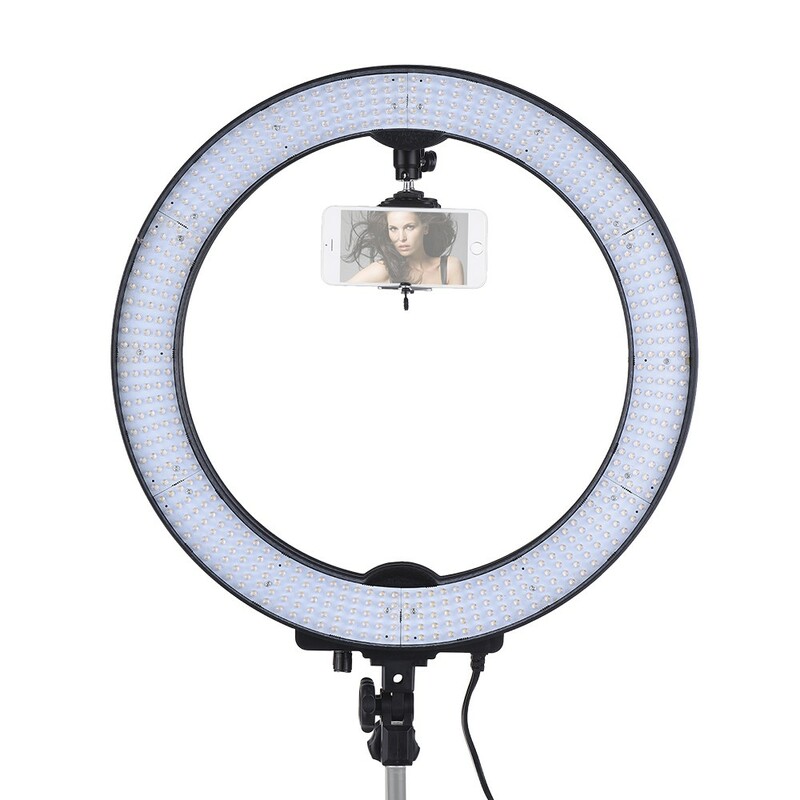 You will NOT find a dimmable ring light for this price anywhere don't even think about it just BUY IT! 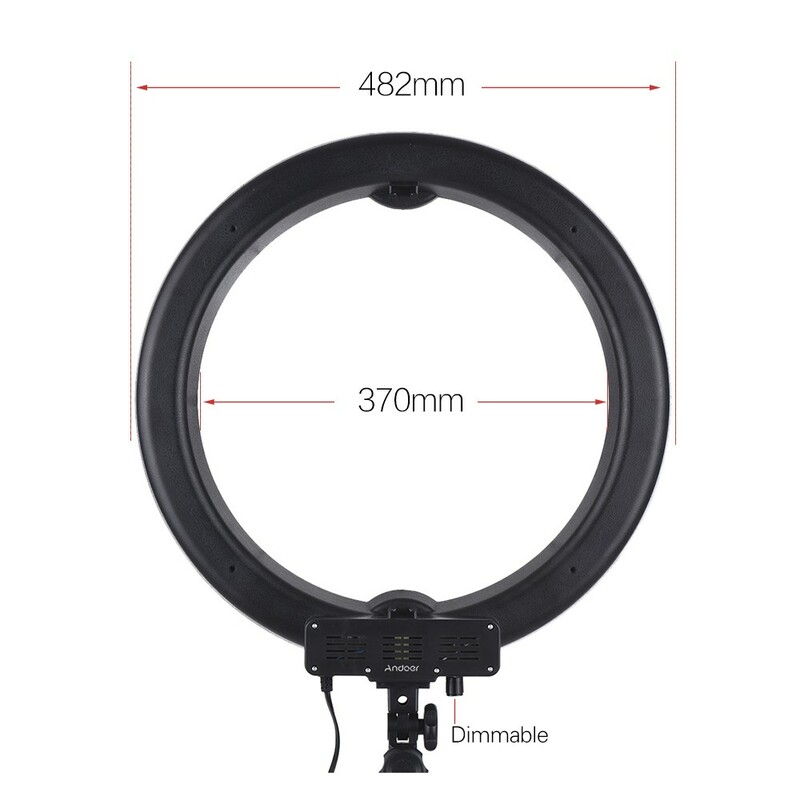 I was a little dubious buying this ring light from this brand as the comments were mediocre and I had in mind to buy a Neewer ring light instead (because everyone and their dog raves about it!) but being a little stingy with my spendings and wanting something within my price range, I'm glad I went with my instincts because I have no regrets (as of yet anyway! Let's not jinx it***). So far so good I must say. 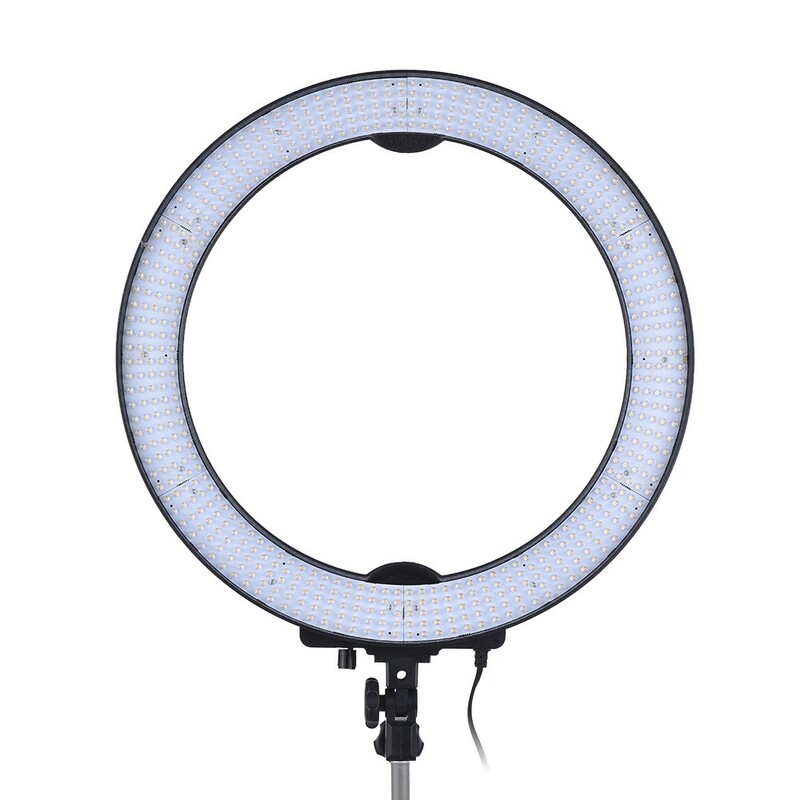 The fact that it's cheaper than many ring lights you take a little step back from it and worry that it's not going to be the best but seriously this one is pretty much identical to the more expensive branded ring lights! 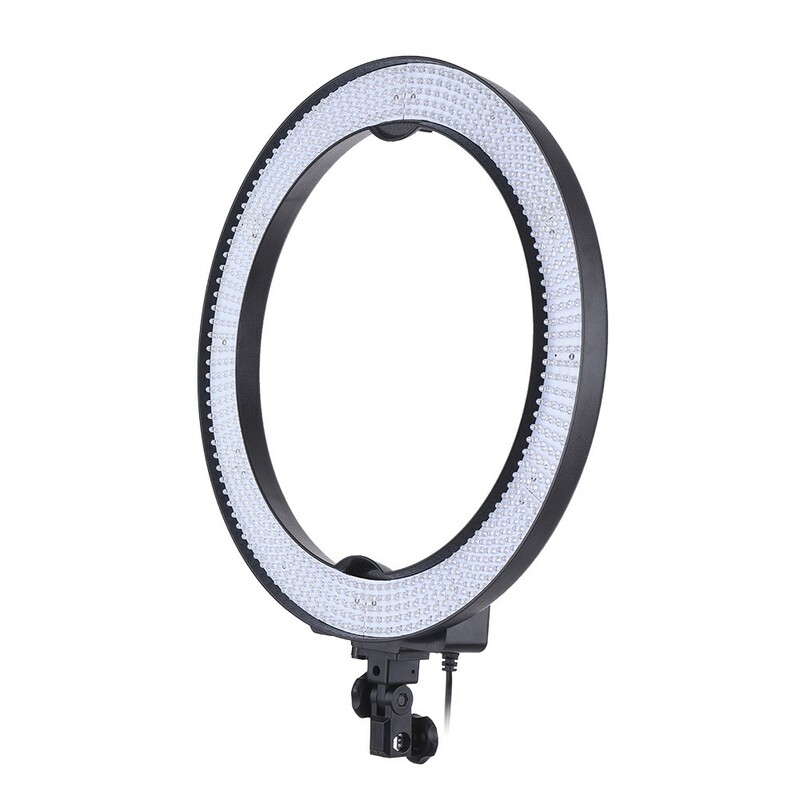 This ring light is dimmiable too, so you have the option to have the light at its brightest or at its lowest, so you get the best of both worlds!!! 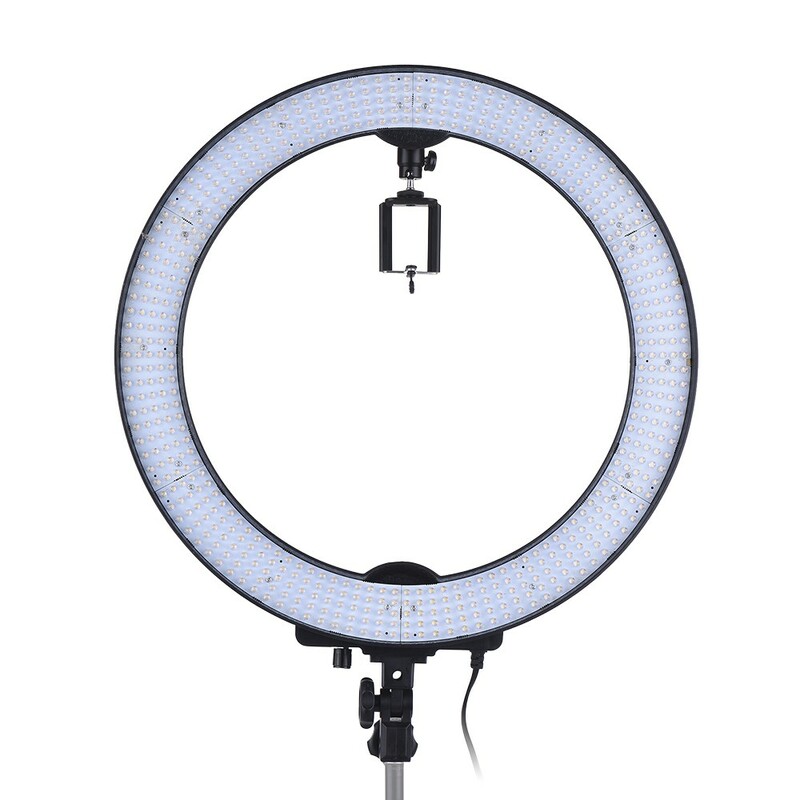 (I mean come on most dimmiable ring lights start from £80 and onwards!) If you're a make up enthusiast or you're just starting out in the beauty vlogging/youtubing world or whatever it may be I really really really really recommend this don't be afraid of the low ratings/reviews! 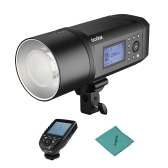 I was so nervous when i got this light as i had seen in the comments that it often arrives broken, thankfully this arrived in perfect working condition. 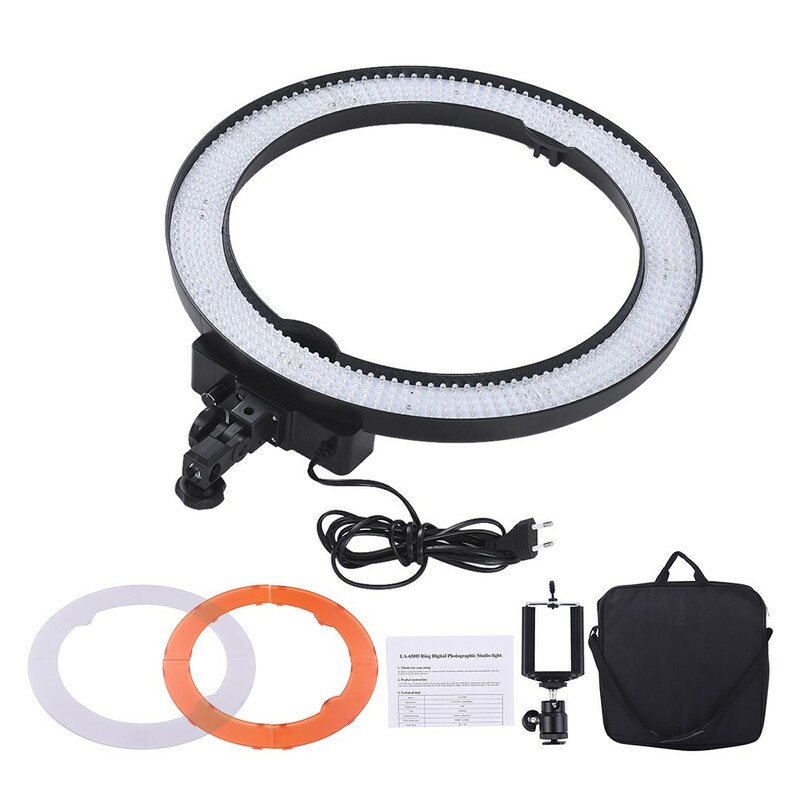 If you are looking to have amazing picture or video every time, this is the light for you. 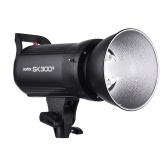 It gives great balance to your shot and even in the worst lighting this light will bring out the best in your work. Very easy to use and you will just love it. Comes with its own carry bag that is really nice and with a shoulder strap. I will never take another photo or video now without it. I really mean it when I say this is a the only Seller to go to for any of your Photo or Video needs. The ring is actually bigger than I thought and super bright! 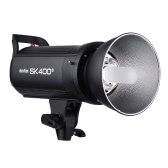 I purchased this product to help with my YouTube videos. I film all of my videos using my phone and wanted to have better lighting. 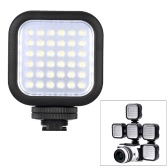 I got this set at a great deal, and it came with the carry case and is dimmable. 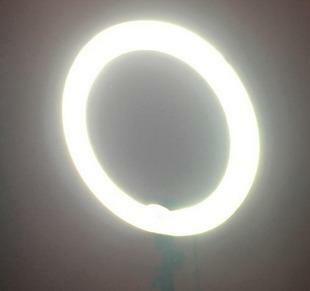 The light works perfectly, was packaged really well and arrived safely. Everything was in place and I LOVE the light. It didn't come with a light stand but I was able to find the stand at a reasonable price and at the cost of the light it was worth it. I highly suggest this. All my photos and my videos are done using my Samsung Galaxy Note 4 in HD and this light not only makes everything look great, my quality of videos have improved dramatically. 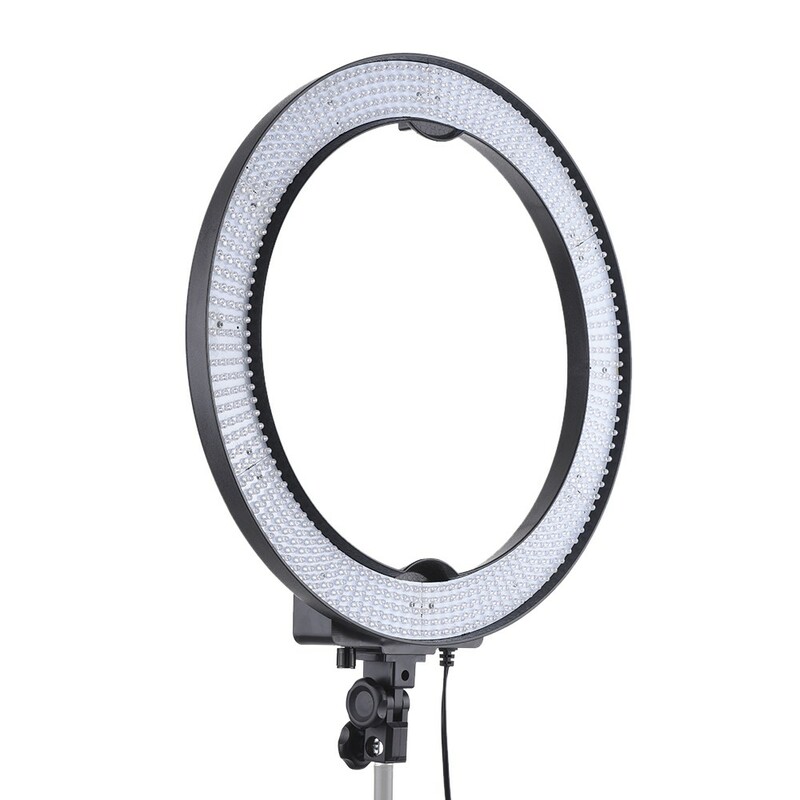 The expensive ring lights work well too I'm sure, but at this price, it makes being a content creator attainable for anyone. Very good value for money. Comes with diffuser and carry case. Cable is of a decent length. Only criticism is that dimmer dial doesn't make much of a difference. I bought it for making youtube video and to be honest I really like it. Since I am a beginner video shooting, so far it is excellent. Anyway, I still have question about how do I know the size of the light bulb when I need to change it, does anybody know?